The last year of elementary school is big for every kid. 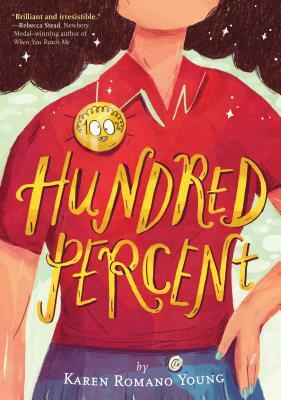 In this novel, equal parts funny and crushing, utterly honest and perfect for boys and girls alike, Christine Gouda faces change at every turn, starting with her own nickname -- Tink -- which just doesn't fit anymore. Readers will relate to this strong female protagonist whose voice rings with profound authenticity and absolute novelty, and her year's cringingly painful trials in normalcy -- uncomfortable Halloween costumes, premature sleepover parties, crushed crushes, and changing friendships. Throughout all this, Tink learns, what you call yourself, and how you do it, has a lot to do with who you are. This book marks beloved author Karen Romano Young's masterful return to children's literature: a heartbreakingly honest account of what it means to be between girl and woman, elementary and middle school, inside and out -- and just what you name that in-between self.